Hiding in My Craft Room: HIMCR #138 Winner! It's time again to announce a Wednesday Winner! The winner of HIMCR #138 - What's Buggin' Ya? 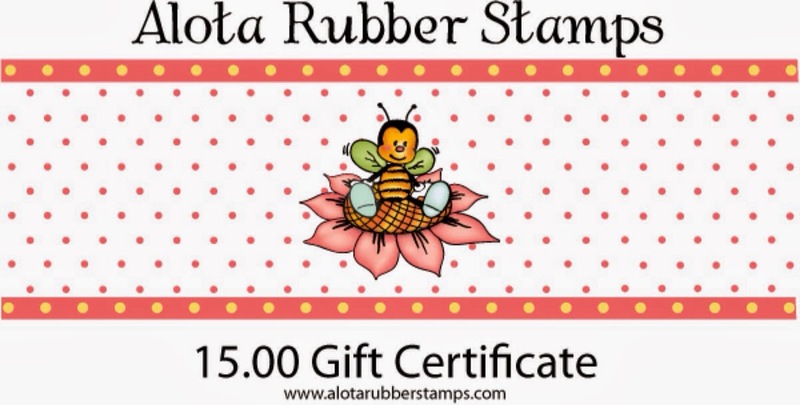 The sponsor for this challenge was Alota Rubber Stamps. Congrats Lola! 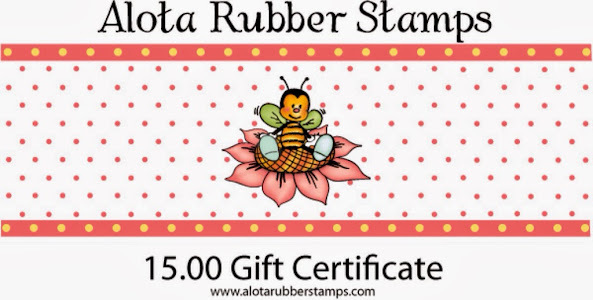 Please use the 'Contact Me' button to send me the email address you want your Alota Rubber Stamps Gift Certifiate sent to! Thanks so much for all the GREAT submissions! This week's challenge and giveaway! Be on the look out for a YouTube comment only giveaway! Next week, a week full of Giveaways to celebrate One MILLION page views! Facebook Only giveaway from 2 Cute Ink! Congratulations, you little bugger! Enjoy your new stamps.